I was lucky enough to recently attend EA’s Studios in Guildford to get my hands on FIFA 14 current gen. Check out here my preview of FIFA 14, my video preview and my interview with Producer Kantcho Doskov about sweaty goals, impact engine & bringing back indoor “footy”. What can EA introduce to change up the game and make it worth my time and money? Well, there are some new gameplay mechanics and elements, which look set to change how players will approach situations and control the flow of the game. Unfortunately, despite the earlier announcement of a strategic partnership with Microsoft for the Xbox One, the day was dedicated to the current-gen release of FIFA 14. So we didn’t get to see the new Ignite Engine in action, but let’s focus on what we did see. 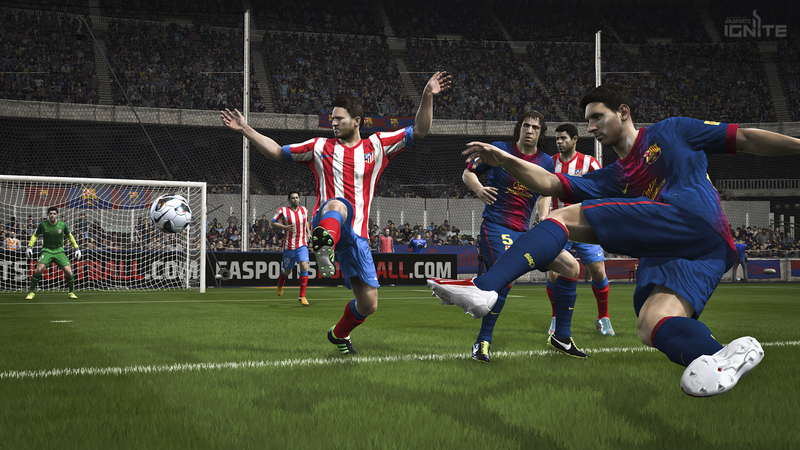 With the next-gen on the not-so-distant horizon, there is a nagging feeling that we saw FIFA 13.5 as it’s lacking the new Ignite Engine, the power of the next-gen and the possibilities that these open up. 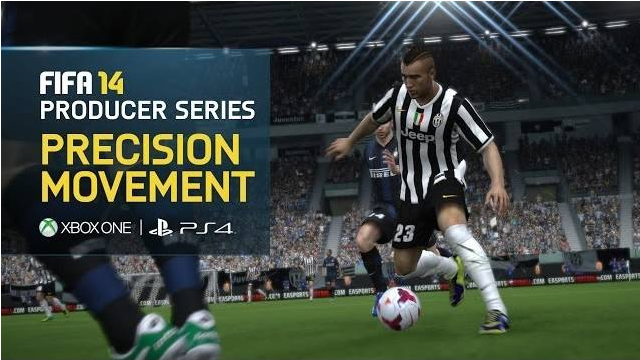 However, taken on merit as a standalone title within the FIFA franchise, it is plenty of fun, seems to tackle some of the issues that have faced previous titles and adds some new gameplay mechanics which refresh the game and adjust how players must approach situations. EA is keeping some cards in its back pocket as little to nothing has been revealed regarding Career Mode and the ever-popular Ultimate Team. So, we could be proven wrong and we look forward to it. After revealing some information about FIFA 14 at the Xbox reveal, those at EA were geared up to talk about the game itself, but was unfortunately restricted to talking about the current generation console offerings of the game. In spite of that, we managed to get a candid interview with Gameplay Producer Kantcho Doskov who talked “sweaty goals”, impact engine fails and what fans need to do to get indoor soccer back into the franchise. 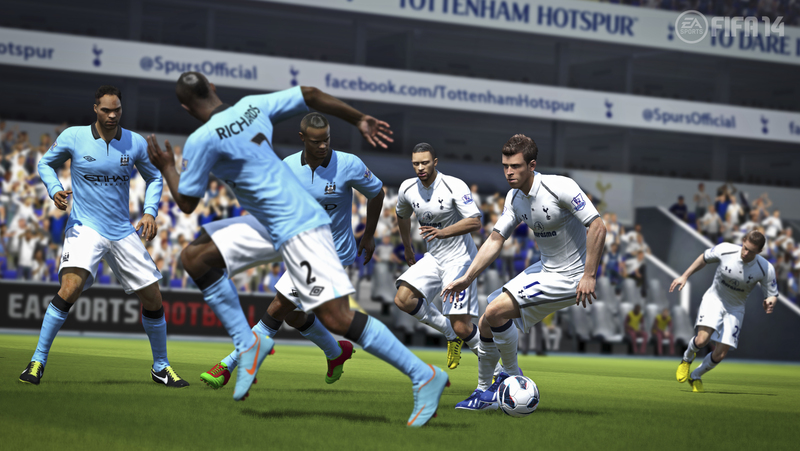 You’re from an animation background yourself, so how much of an instigator were you for some of the changes that we’ve seen for FIFA 14? And it does seem to change gameplay elements, like you’ve to be more conscious about positioning in defence and offence. So how do you think players will adapt to that? 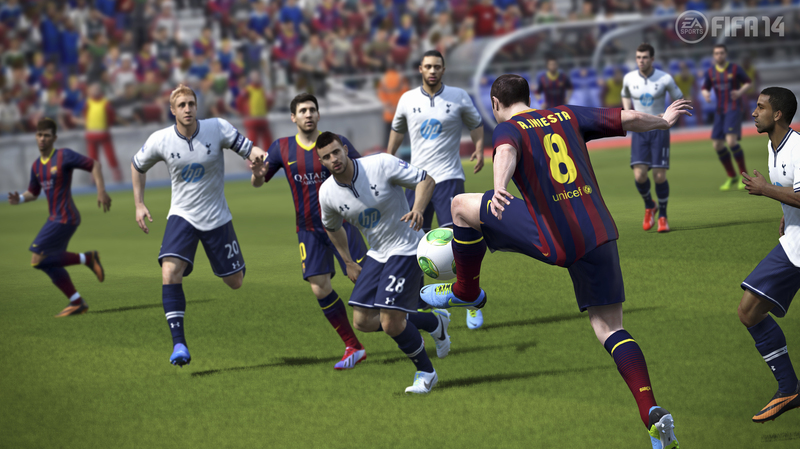 One of the things said in the build-up to FIFA 13 was that there would be more ways to create chances and this turned out to be true, but of course players online got their hands on the game and found one system that worked better than others. So, how do you combat that or make it a more rounded experience? We’ve seen some impressive goals today thanks to the new shooting styles; how much control will gamers have over that and how much is managed by the AI? With the physical blocking and battles all over the pitch the impact engine is going to come under a lot of scrutiny, so how much of a rework has that engine element gotten? What change should players make to be more successful in FIFA 14? This year marks the 15th year since indoor soccer was taken out of FIFA, so what does it feel like for a developer, and the development team, to have all these new modes and features and yet still have fans asking for something that’s so old? So, animation is what I studied at school, it’s my passion along with football and I’m always very keen to get the best quality animations into the game. And actually, it makes a big difference. So what do you think of my preview, video and interview and please ask away if there’s anything you’re curious about FIFA 14 that I might be able to answer.